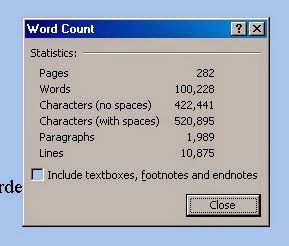 one hundred thousand words have been written! all joking aside, i am still not done. need to finish the climax and then the actual work begins. it is time to edit, chop, splice and fill in plot holes.